Just a heads up, but if you were planning the perfect lizard/cat-person costume this year for Halloween, you might want to consider forgoing the hyper-creepy vertical-slit pupil contact lenses that will really put your getup over the edge. It’s just not worth it because (spoiler alert) you could scratch your cornea or blind yourself. Like, forever. Then you’d have to go to your neighbor’s Halloween party in a last-minute Teiresias costume. 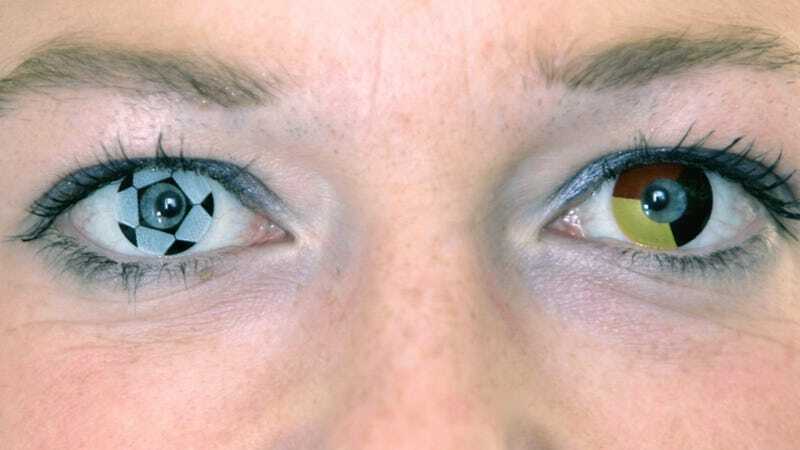 A suitably alarmist report from CBS about the danger of color contact lenses has put Halloween costumers on notice that it’s probably a bad idea to put in a pair of decorative lenses without first consulting with an eye care professional. Putting contact lenses in for purely aesthetic reasons without thinking carefully about how they fit over one’s eyeball can lead to a whole host of cringe-worthy medical issues, chief among them a gross cornea ulcer, which looks like pink-eye only more ulcer-y (also, incorrectly-fitted contact lenses can cause pink eye). All of this sounds like the beginning of a terrible Halloween adventure. The best bet is probably to just forgo color contact lenses altogether. I mean, if you don’t need lenses, why tempt the Halloween spirits to teach you a valuable lesson about appreciating your perfect vision? You could have been a fighter pilot, but instead you’re lacerating your eyes with color contacts and it has aroused the fury of the Halloween god of taking your natural gifts for granted (who really wanted to be a fighter pilot too, but, sadly, failed his vision test).